(What do I do with) RUTABAGAs? It all started a few years ago when I was telling my niece that I thought the word ‘rutabaga’ was so much fun to say. (All together now: R-u-t-a-b-a-g-a!) At the time I really didn’t know what it was, except that it was some sort of root vegetable. That got me curious, and I set out to get some seeds. It turns our they’re pretty easy to grow, and I had a good crop that first year. As it turned out, the two-year old seeds remained quite viable. 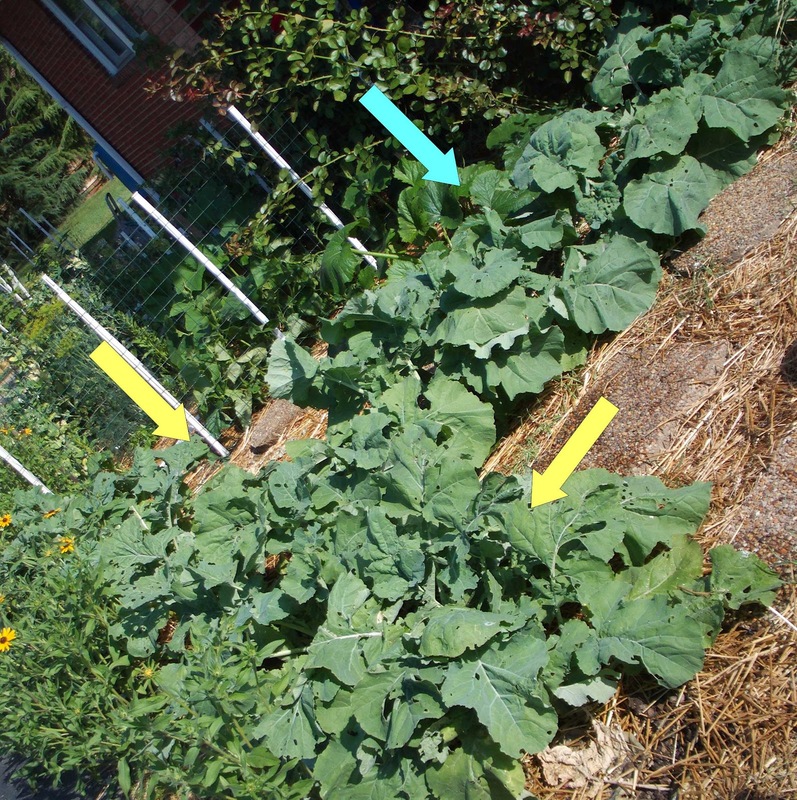 The yellow arrows signify the original row of rutabagas I planted, and the blue is the ‘overflow’ row from the thinnings I couldn’t bear to just throw away. In short, I have been blessed with rutabaga this year. Aren’t they beautiful? The one on the right is about 4″ diameter. And now…to answer the question posed in the title…GIVE THEM AWAY!!! 1. Boiled rutabaga: Scrub, peel, and remove the foliage. Cut into cubes and boil until tender, maybe 20 minutes. Drain, return to pot with some melted butter (or oil), brown sugar to taste, and ‘pumpkin spices’ such as cinnamon, nutmeg, cloves. 2. Rutabaga fries: This one comes from a really neat-o book called Vegetables Every Day, which is an alphabetical collection of lots of veggies, how to select them and prepare them. Anyway, scrub, peel, remove the foliage. Cut into strips, like fries. Toss with a little olive oil, cinnamon, paprika, cumin until coated. Oil a baking sheet, place the fries in a single row, and bake for 25 minutes at 425F. Remove from oven and turn each fry over. Bake another 15-20 minutes until crispy. This one is really tasty (though I’m still trying to convince Nicolas of that). Ah well, more for me!!! One more part you may have not thought of eating… The greens! 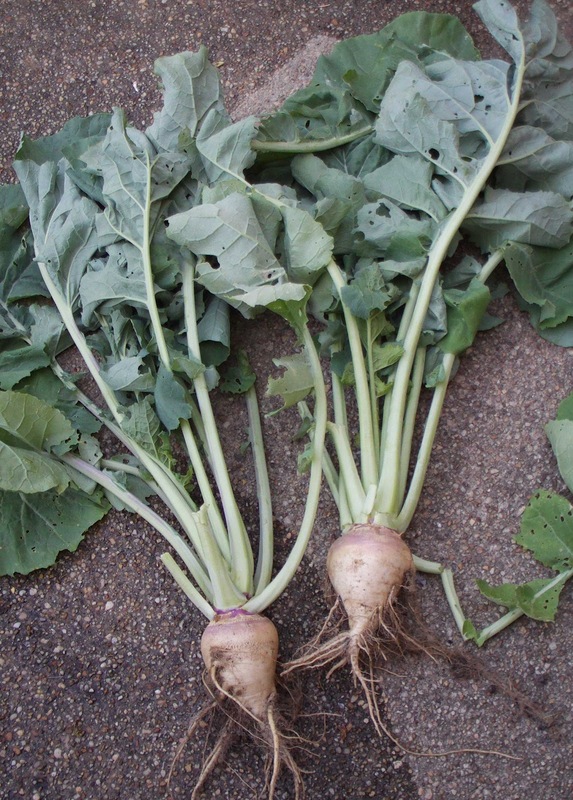 Cook them up as if they were turnip, beet or other greens. Add a bit of onion and garlic, some veggie broth and a pinch of salt and pepper. Don't waste beautiful greens! Hey, thanks! I was wondering about the greens as they seem so tough. Still, I'm so mired in beet greens and kale that I just don't have the room in my stomach (or fridge) for all of that right now. 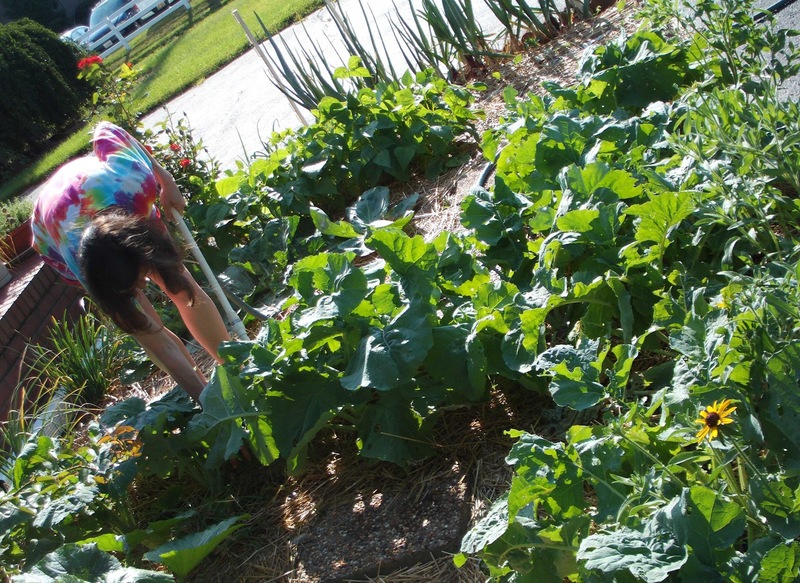 The kale is on the outs due to warming temps, though, so maybe that'll open space to some rutabaga greens. I love rutabaga! My mother is from New England, and we couldn't have Thanksgiving w/o mashed rutabaga; made just like mashed potatoes.